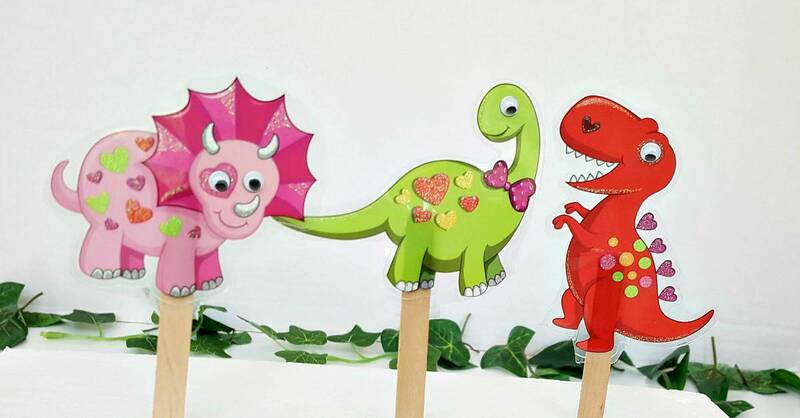 Our craft stick dinosaur puppets are simple to make and promote imaginative play for your toddler. 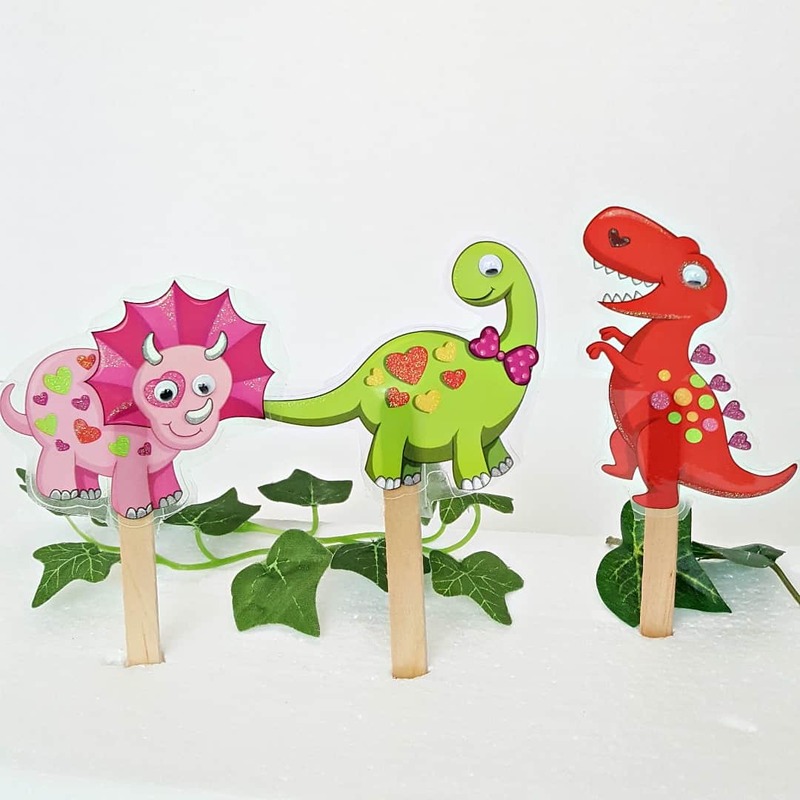 Combine them with your favorite dinosaur books and then create stories together, and role play characters, with these fun dinosaur stick puppets. 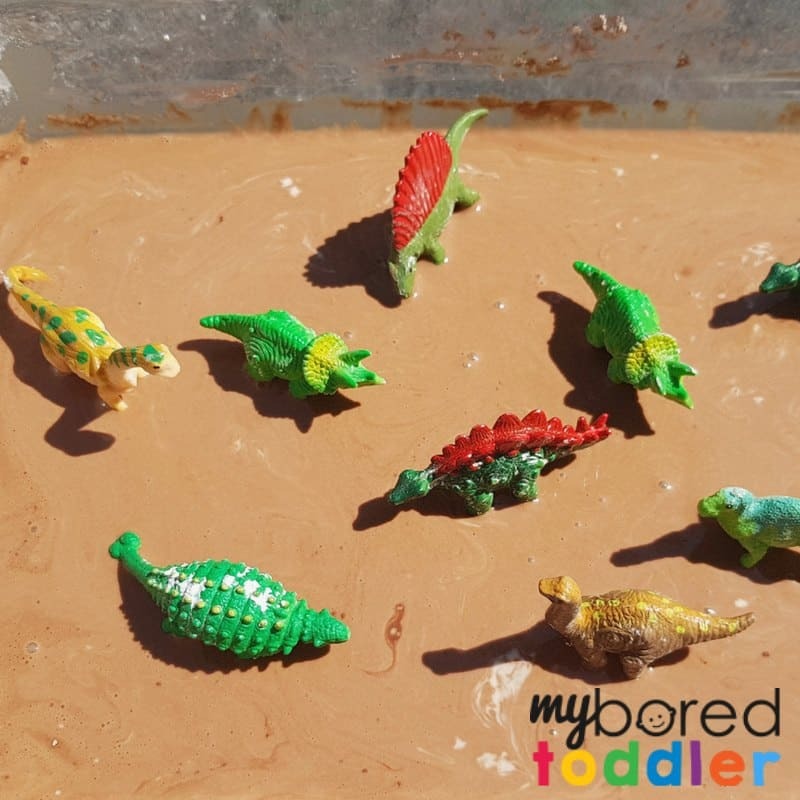 We’ve been having a dinosaur themed week here, starting with our muddy dinosaur sensory bin . 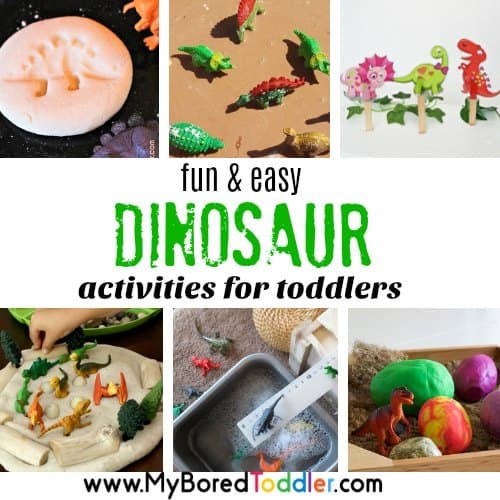 These dinosaur puppets are a great way to continue the theme and are super easy to make. 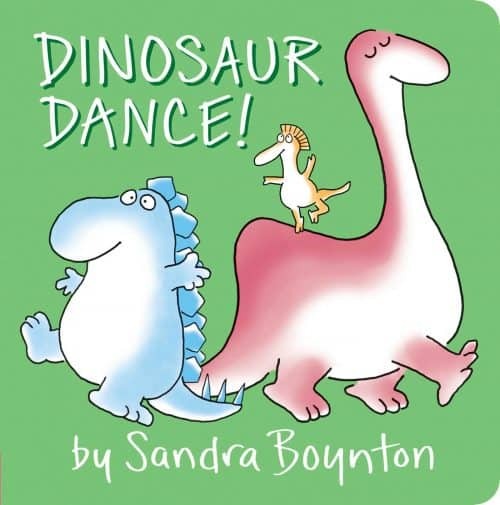 You know how much we love making books a focus of our activities, and for this activity we recommend Dinosaur Dance. You can get this book from Amazon HERE. I would even put on some music while you play with the puppets (I recommend Romp Bomp a Stomp by the Wiggles which you can get as part of Amazon Music (you can sign up to a 30 day FREE trial HERE) or you can buy the individual song HERE. Craft sticks – you can use plain or colored ones like these. Self-adhesive stickers – any kind you like. We found these in a dollar store but you could use ones like these too. It’s usually easy to find large and colorful stickers at a dollar store. Choose animals or other fun characters, especially ones that are familiar to your child. If you don’t have stickers, cut characters from magazines or posters, and laminate both sides with the contact paper. Cut a dinosaur from the packaging without removing it from the adhesive panel. Leave an added edge, or border, around the dinosaur as you cut. This will make it easier to cut around the dinosaur when it is applied to the contact paper later. Cut out a piece of contact paper slightly larger than the dinosaur character. 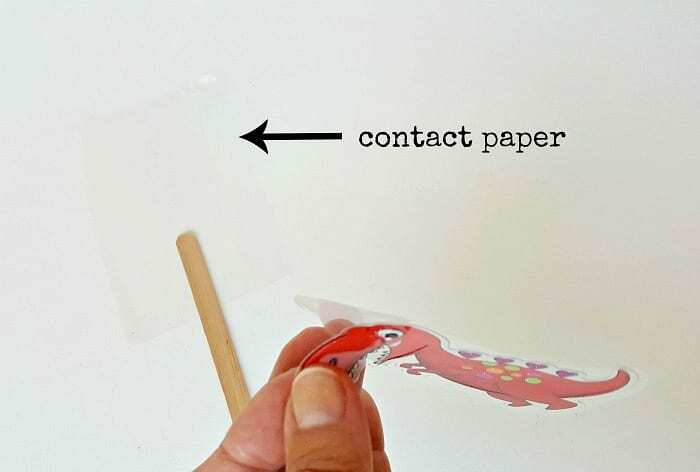 Place roughly 1/3 of the length of the craft stick on the sticky side of the contact paper. 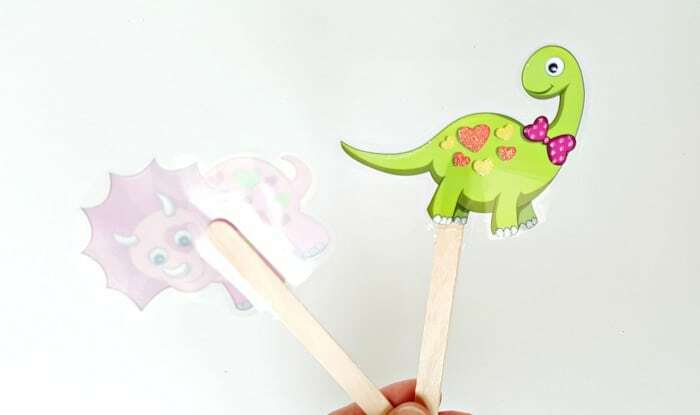 Peel the dinosaur character from its adhesive backing. 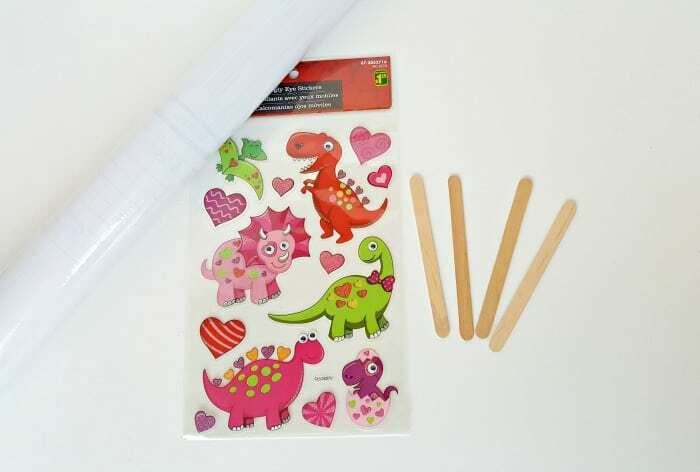 Place the dinosaur on the craft stick on the sticky side of the contact paper. 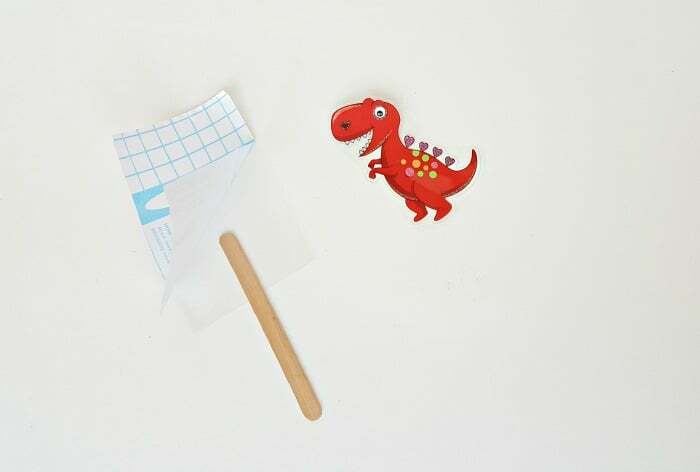 Cut around the dinosaur to remove it from the contact paper. It isn’t necessary to cut out all the small details of the character. You can support the puppets in a piece of solid foam packing as shown here, or make a simple theater by draping a sheet over a table or two chairs placed side by side. Role play every day activities such as walking through the park or visiting a friend. Give your characters different voices. 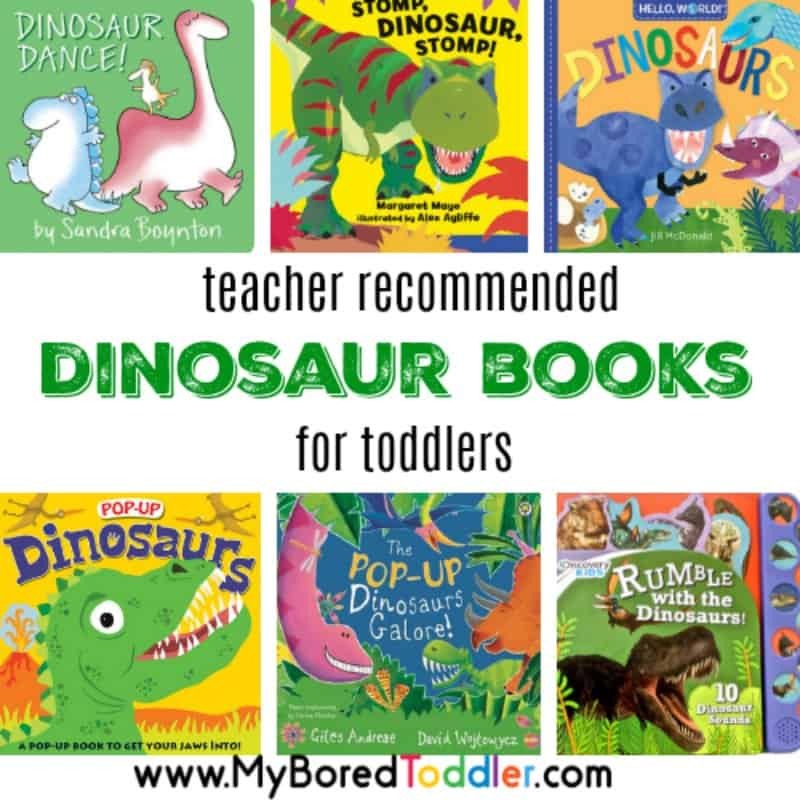 This helps your toddler recognize sounds, distinguish characters, and use imagination. Start a conversation with your toddler about the characters. What is his friend’s name? What game will they play? Imaginative play provides an opportunity for your toddler to practice language and social skills. Puppets are a fun way to jumpstart the play, encouraging creativity and role playing as the characters interact. 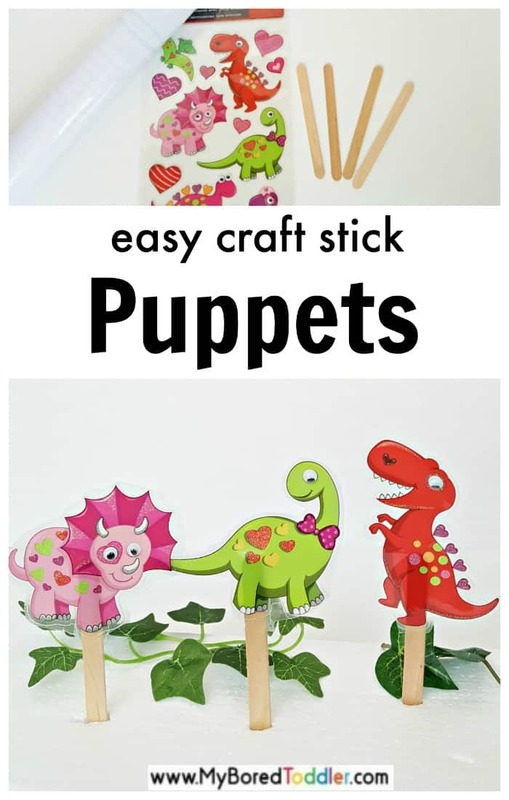 Dinosaur stick puppets are simple to make and fun to add to pretend play.